World of Tanks Blitz has two types of currency fueling its economy, namely credits and gold. Credits, also known as silver, are earned in battle or purchased with gold and are the primary in-game currency. The easiest way to get gold is to purchase it from Wargaming, although there are many other ways of doing so. You can also earn it by participating in developer/moderator organized contests, tournaments and other events (check the news page on your server for current opportunities: EU server, RU server, NA server, ASIA Server). WARNING: You will sometimes see third parties advertise cheap gold. These are not authorized partners from Wargaming and you will not receive any gold. Only buy gold using the methods mentioned on the official sites and report strangely cheap offers to Wargaming's support team for your server: EU support, RU support, NA support, and ASIA support. 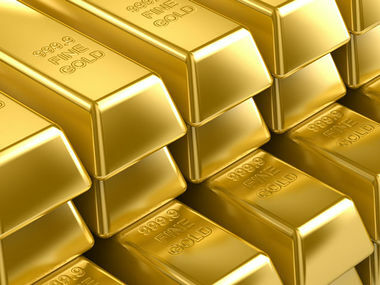 The most important thing that gold is used for is to buy a subscription to a premium account. It gives 50% more credits and 50% more experience per battle, and a clean garage. Even though you only earn 50% more credits with a premium account, your profit after paying for repairs and ammo can increase two- or threefold, depending on your performance in battle (amount of damage, destroyed tanks, base captured/defended, etc) because your costs remain constant. Gold can be used to buy premium ammo (AKA "Gold Rounds" or "Premium Rounds") which have bonuses to penetration or damage compared to regular ammunition. However they become rather expensive when used on a regular basis. To expand your garage slots to keep more tanks, players can buy slots with gold. It costs 250 gold for an additional single slot, but for lower prices and more slot it costs 1000 for 5 slots and 1800 for 10 slots. Dernière modification de cette page le 30 octobre 2014 à 13:45.